Ferrari 488 Pista review – can Ferrari's track-focused 488 live up to its illustrious forebears? Expectation weighs heavily on the Ferrari Pista’s sharply creased flanks. Consider, if you will, its predecessors, the 360 Challenge Stradale, the F430 Scuderia and the 458 Speciale, they are all solid gold evo hero cars that defined their respective generations. Only the very best is expected from Ferrari with the latest installment in what it calls its ‘V8 Special Series’. Then again, a glance at the Pista’s specification hints strongly that the Pista – or ‘Track’ – will make even the fabulous 488 GTB feels rather tame in comparison. The Challenge Stradale name may be long gone, but that’s exactly what the 488 Pista is: a road-going 488 Challenge car. The F154CD twin-turbo V8 is comprised of 50% new parts, and effectively shared with the Challenge car. If you thought the GTB’s engine was a shining example of how to build a turbo engine with virtually no lag yet with a voracious appetite for revs and power, then the Pista will reset those expectations once again. Yes, the raw numbers are spectacular: 711bhp at 8,000rpm and up to 568lb ft of torque, but it’s the relentless manner in which this engine goes about its work that leaves you in awe. It’s connected to Ferrari’s latest evolution of seven-speed twin-clutch ‘box, now with a ‘shotgun’ gearshift strategy. The exact workings of this aren’t easy to explain, but it translates to an even more aggressive upshift and downshift and actual shift times that a human just can’t measure. The results against the clock are compelling, although in this day and age we’ve become strangely used to extreme numbers in this class. Nevertheless, 0-100kph in under 2.9 seconds and 0-200kph in just 7.6 seconds shouldn’t disappoint. There are so many highlights to the Pista it’s hard to know where to start. Take the engine, which features new valve gear and cams, a completely new intake system, reinforced cylinder heads and pistons, lighter titanium rods, revised turbochargers and a raised compression ratio. Futhermore, for the first time, each of those turbochargers have their own electronic speed sensor for even finer control. Weight reduction has played a key role in the Pista’s development, with the result being the car is up to 90kg lighter (1,280kg dry) than a GTB with all the lightweight (and expensive) options. 18kg of that alone is saved in the engine, a further 9.7kg by the inconel exhaust system that makes the car 8db louder in the cockpit; 6kg from the revised cooling system. It’s the cooling system that contributes significantly to how the Pista looks. The radiators in the nose are lent back now and bleed hot air out through the floor before it flows more cleanly along the car’s flanks. The large holes cut into the car’s sides no longer feed the engine directly but are now the sole preserve of the enlarged intercoolers, which are mounted higher, with the air intakes moved to the rear deck in front of the larger wing. Aerodynamically the Pista has been honed by the same team that work on Ferrari’s GT3 and GTE-spec racers, with the S-Duct defining the front (air is forced through a tight gap and over the car’s nose) and lots of work on the underbody and the diffuser. Naturally, Ferrari hasn’t neglected the electronics package, and on top of the usual acronym frenzy is the FDE, or Ferrari Dynamic Enhancer. It’s a form of stability control but with a sense of humour, working in the final CT Off phase of the Manettino switch, and essentially allowing the Pista to be powerslided while retaining a realistic safety net. Clever stuff. As is the modern way, the Pista is virtually no more demanding to drive than a GTB, in spite of its elevated performance. 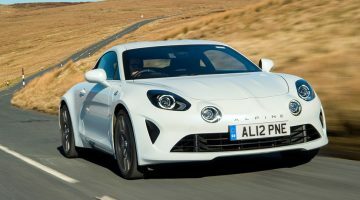 The ride is a little firmer thanks to more spring rate and recalibrated dampers, and the V8 has a louder tone – though sadly not a more musical one – in the cockpit, but it would still make perfectly realistic everyday transport. Clamped by the optional four-point harness into the bucket seat, and looking out onto the 488’s focused cockpit covered in alcantara – complete with fabric door pulls – it’s obvious that the Pista is all about the driving. Believe me, you need that focus. The Pista is one of those rare cars where full bore acceleration takes a little run up – some measured aclimatisation first, and the location of some suitably quiet surroundings. Throttle response is uncannily sharp, and from there the motor simply erupts, the numbers on the digital speedo rising too quickly to process, the onslaught quickly punctuated by the pitch tone that betrays your brain has subconsciously hooked the next gear with a paddle. The Pista is simply ferocious. 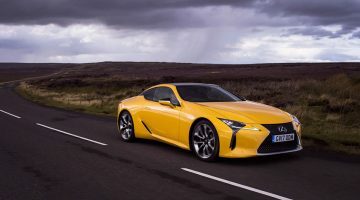 On hot, sticky tarmac, and even with a new bespoke Michelin Cup 2 tyre, it still manages to break traction virtually at the driver’s will with a squeeze of throttle in second, third, sometimes even fourth gear. 30 years ago, managing such performance would have required F1 driver-levels of skill; today, incredibly, that’s not the case. From its ultra quick but faithful steering, delicate sense of balance and superb damping, the Pista is not a car you need to fight. Yes, you have to be wary of the engine’s colossal outputs, but it’s a car you get to know quickly, and build a rapport with. The beauty of the electronic systems is that you can go to nearly everything off, but still feel like you’re completely in control of the car. FDE will allow the rear tyres to bonfire, as long as it feels you’re not doing anything stupid: provoke it too hard, too early in a slide and you’ll feel it deftly step in, but be smooth and it’s an amazing feeling to have so much expression combined with the reasurrence of a guardian angel. The brakes deserve a special mention too. Not only are they stupendously powerful, but Ferrari has also worked hard on the pedal feel, aiming to give that race car solidity underfoot. They’ve succeeded, and like everything else about the Pista on track, it feels right at home. Here you can really feel what the car can do, whereas on the road it’s a constant exercise in self restraint. That’s not really Ferrari’s fault – the market demands ever-faster cars – but it doesn’t help that the V8 is now more about getting the job done rather than the sheer pleasure of an extraordinary engine, as it was with the 458 Speciale’s operatic and awe-inspiring naturally aspirated screamer. The Pista trades just a little of that car’s emotive qualities for an even faster, more exploitable drive. It’s the old enemy that provides the most obvious and formidable competition to the Pista. Porsche’s GT2 RS, similarly priced with the Weissach Pack, produces very nearly the same power and a duel between the two would be fascinating. Lamborghini’s Huracan Performante has the noise, and the speed, but feels nothing like as sophisticated. 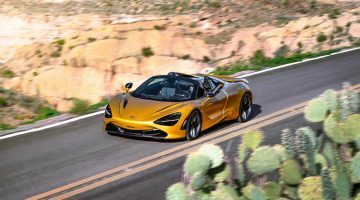 Meanwhile, Mclaren only has its 720 S at the moment in this class – a car that feels more than powerful enough for the comparison – but we’ll have to wait for the track-focused version for a true rival from Woking to the Pista.